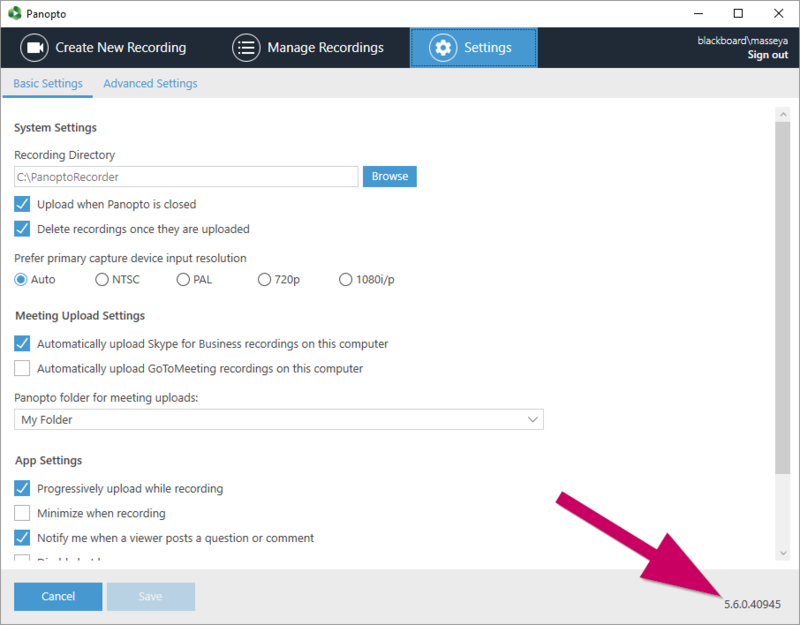 From 21 July 2018, you will only be able to record sessions if you are using the most recent version of the Panopto recorder. After Saturday 21 July, at 0100 BST, Panopto hosting will require that recordings are made with version 5.6 of the recorder or above – any older recorders will cease to work. IT Services will ensure the teaching rooms are running version 5.6 prior to the deadline. If you use an Aston PC and installed the Panopto recorder via Get Programs, IT Services have already updated you to version 5.6. How can I check what version I'm running? Contact the Technology-Enhanced Learning Team.